When it comes to replacing teeth, dental implants are by far the best option available for the longest lasting results. With bone loss being one of the hidden consequences of losing teeth, dental implants help to preserve your tooth-supporting bone. The procedure used to place an implant is fairly straightforward, and after healing, the implant is topped with a custom lifelike crown made to match your existing teeth. The recorded success rate for dental implants is over 95%, making the option remarkably higher than any other tooth-replacement option. Your dental implant is inserted directly into the jawbone in the space vacated by the missing tooth during a routine surgical procedure. 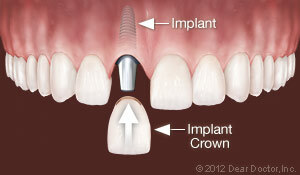 After a healing period during which the implant fuses to the bone surrounding it, the final crown is attached. 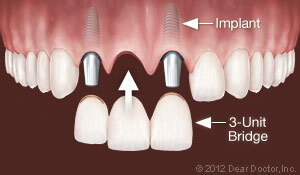 There are a variety of ways implants can be used to replace missing teeth. Typically they are used to replace a single tooth or to replace multiple teeth. When replacing a singular tooth, one implant is inserted into the bone to replace the root part of that tooth, and then an implant crown is placed on top to simulate an actual tooth. 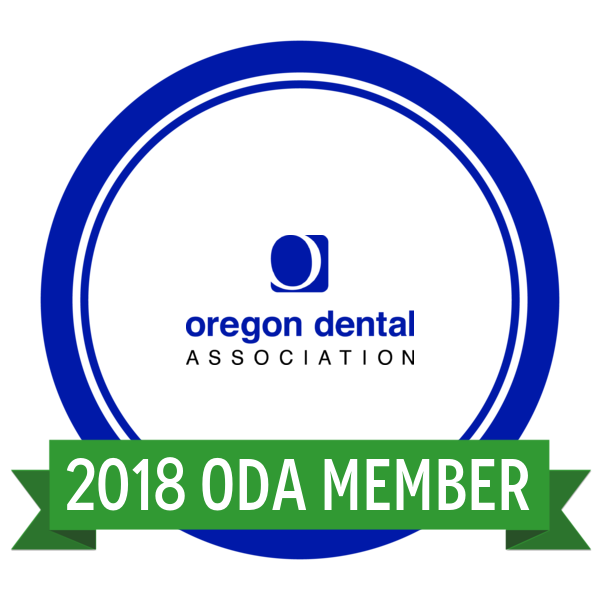 For replacing a single tooth, even if the initial cost is slightly higher than other options, this procedure has the highest success rate and is therefore the best long term investment option. 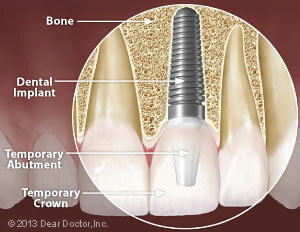 Your implant will never decay or need root canal treatment, and will feel just like the natural tooth that was there. For replacing multiple teeth, you may not even need one implant per missing tooth. For example, if you had three missing teeth in a row, two implants could be installed - one on either side of the gap with a crown in between that has no implant underneath. In this way none of your natural teeth are used as bridge supports, which can further preserve your teeth-supporting bone.  If you have missing teeth and want to discuss dental implants please call Dr. Bevans at 541-686-1199 and let us help you regain your smile, not just for cosmetic reasons, but for your continued good health.